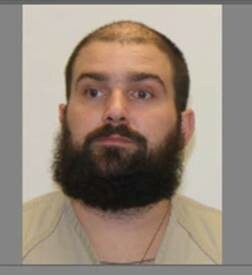 Two former Northern State Correctional Facility inmates have been charged with kidnapping and aggravated assault for taking a prison guard hostage earlier this month, Vermont State Police said on Tuesday. Authorities charged Leroy Hughes, 32, and Mehmed Devac, 22, for the August 11 incident inside the Newport prison. They are scheduled to be arraigned in Orleans Superior Court in October. Kidnapping carries a maximum life sentence. The inmates allegedly held guard Malcolm Brown, 51, of Morgan, with a blade — a sharpened ruler — for two hours inside a room before they surrendered after negotiations, state police said. The standoff drew a horde of officers from state police, the Orleans County Sheriff's Department and the U.S. Border Patrol to the prison. Every prison in the state was briefly locked down in response, WCAX-TV reported. Hughes, who is serving time for grand larceny, assault and armed robbery, has been transferred to Northwest State Correctional Facility in Swanton, according to DOC records. Devac, who is serving time for aggravated assault with a deadly weapon, was transferred to Southern State Correctional Facility in Springfield, according to DOC records. 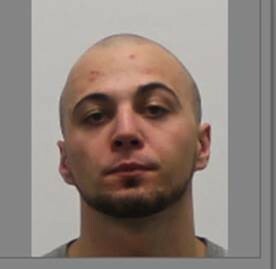 In 2011, Devac was sentenced to 30 months in prison for stabbing a stranger in downtown Burlington.